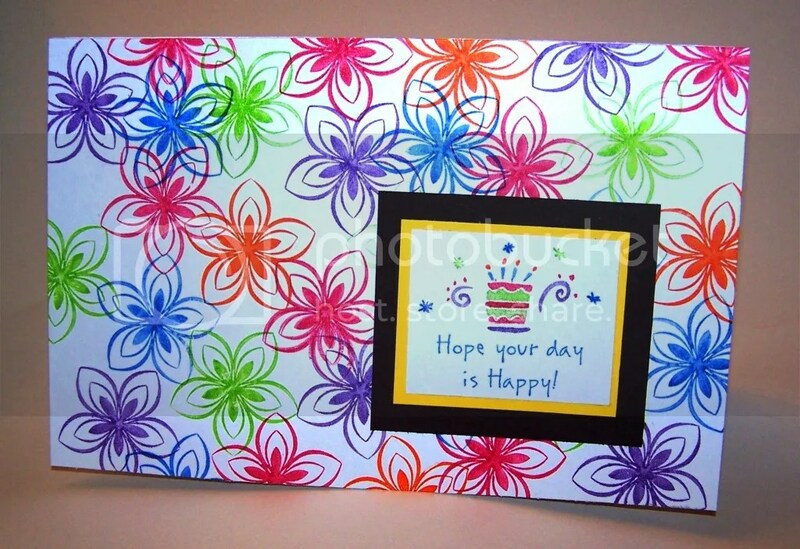 I made this card for another friend in my birthday card swap. I need to figure out what this blue paper is, because I absolutely love it! It has a rich color and an incredible shimmer and shine. It’s almost glittery, but not quite. I can’t really get it to come across in photos, but it is gorgeous! I usually use it in small doses. It glams up a card really nicely, but I decided to try an over-the-top approach this time. I designed and cut the navy blue bit with my Silhouette SD. It’s all one piece. I cut (with my Silhouette again) some pieces of cardstock to back the open bits of candle. I used Mod Podge to stick loads of red and gold glitter to those pieces. After they dried, I added a nice layer of mod Podge on top to really stick it down and coat it. I didn’t want the recipient cursing me later. Tiny bits of glitter seem to appear everywhere in my house, but I realize that may not be true for any house that doesn’t have 3- and 5-year-old girls regularly doing craft projects. When that layer was still sticky, I put the pieces in place. After it dried, I added the lighter blue backing. Here’s another attempt to show the beauty of this paper. The colors are truer here as well. I was pleased with this one. It’s simple, but the bold graphic and shimmery textures make it special. I think I’ll probably revisit this idea in the future. What do you think? 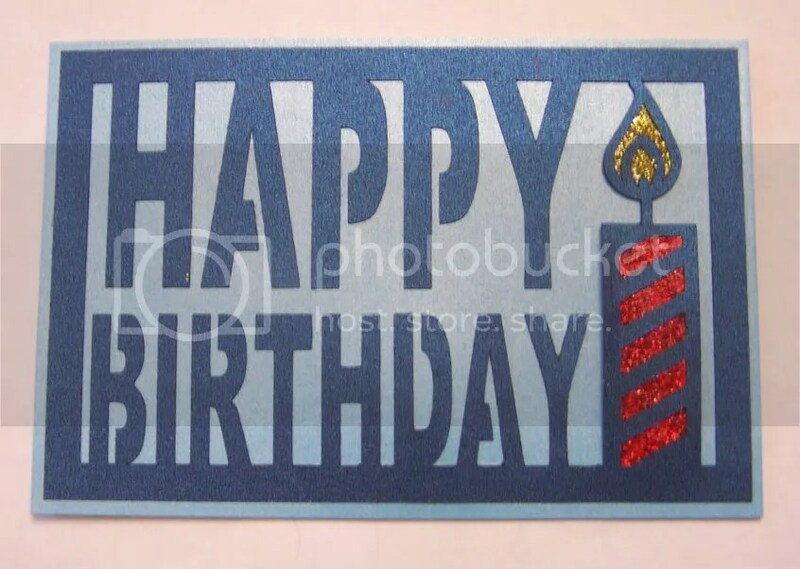 What kinds of birthday cards are your favorites to receive? I haven’t had much chance to blog for a few weeks. I blame it on the Olympics! I have several photos of cards I’ve made, so I’m going to do a little series showcasing a few of those. If you have any questions, I’ll do my best to answer them, and maybe it will even lead to some tutorial posts or further inspiration. 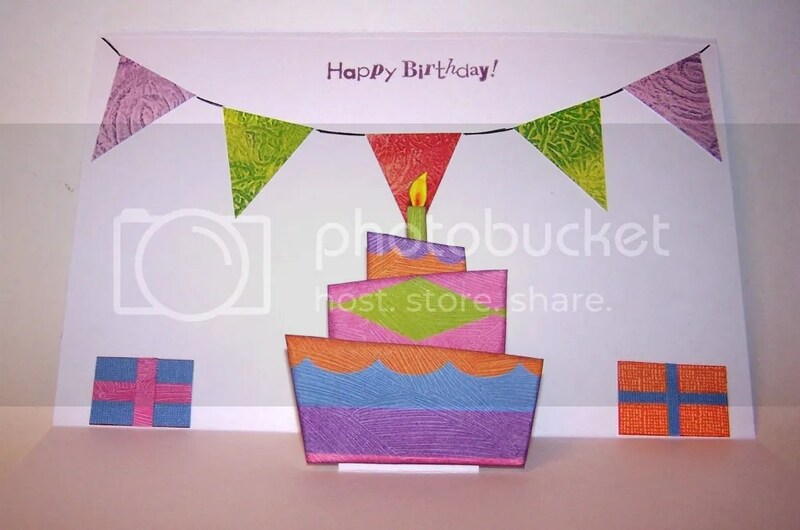 Today’s card was made for a birthday card swap that I’m in. My Silhouette SD machine was packed away while I did some reorganizing, so I cut all the pieces by hand. I absolutely love the front of this card, and I’m definitely using this idea again. I just used one flower stamp and several different colors of Crayola markers instead of stamp pads. I used the same markers to color the stamp on the inset, and tried to get the colors close to the papers I used for the pop-up inside. I wanted to do something fun for the inside, so I made a pop-up birthday cake. Originally, I had several different pop-ups making a dimensional pile of presents, but my brain stopped working around midnight this night, and I had a major mistake and had to start over. Thus, the birthday cake. I still like it, and I think the pennant on top pulls it together and keeps it from being too bare. The inside is okay, but my main thought is “I can do better!” It’s an idea that I’ll revisit in the future. I know that the recipient enjoyed it, and that’s the most important thing! 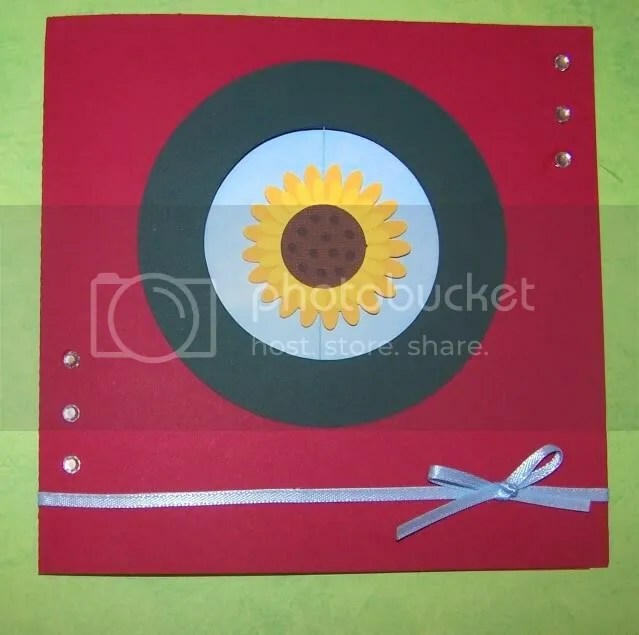 Unfortunately, this is a card from before I started tracking my supplies, so I can’t tell you what papers I used or where to get them, but I think it would be quite easy to do something similar with whatever supplies you have or can get at your local craft shop. 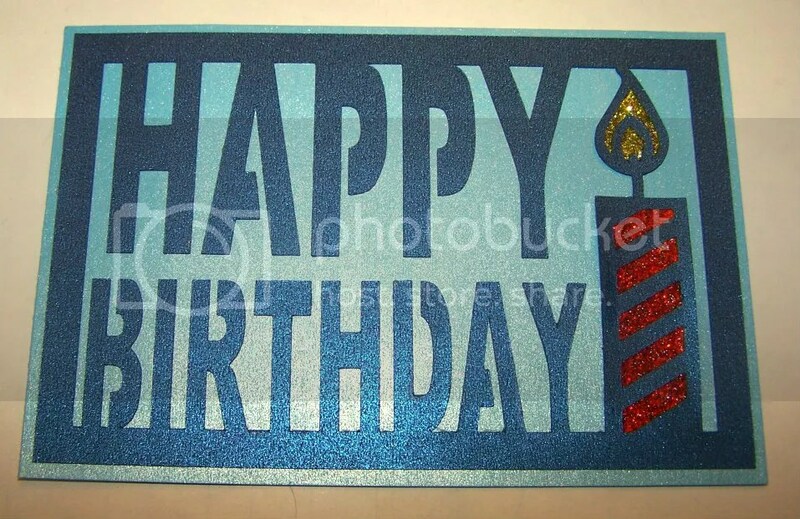 I made this card for a birthday card exchange. I have a friend who just loves sunflowers, so I knew I wanted to include one. 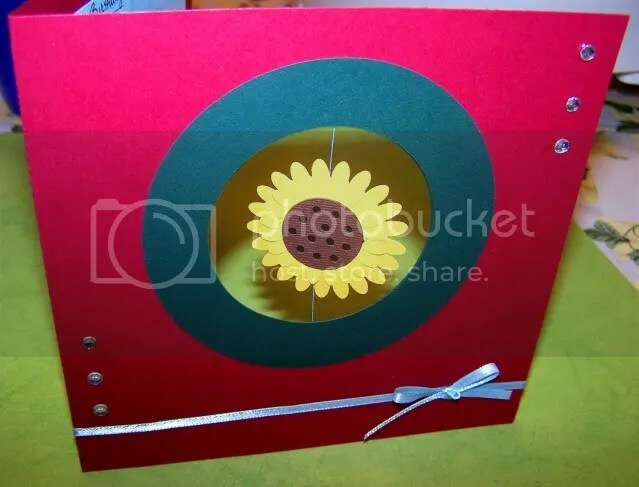 She’s also the kind to appreciate a bit of whimsy, so I made her this spinner card. I always twist it up just a tad, so it will spin when opened. The only downside to this card is that having that big hole meant a teeny place to write Birthday greetings. I added a little ribbon bow and a touch of bling to finish it off. It’s not exactly what I originally envisioned, but I think it’s nice. Not super-wonderful-fantastic, but I know she liked it and appreciated the personal touch of a handmade card.